The Journal also welcomes book reviews. The editors of each section will also accept submissions and proposals for special issues. The journal accepts articles and original contributions that have not been published and are not under consideration for publication elsewhere. For further details and constraints, please see the Author Guidelines. Peer Review: all submissions will undergo double blind peer review. 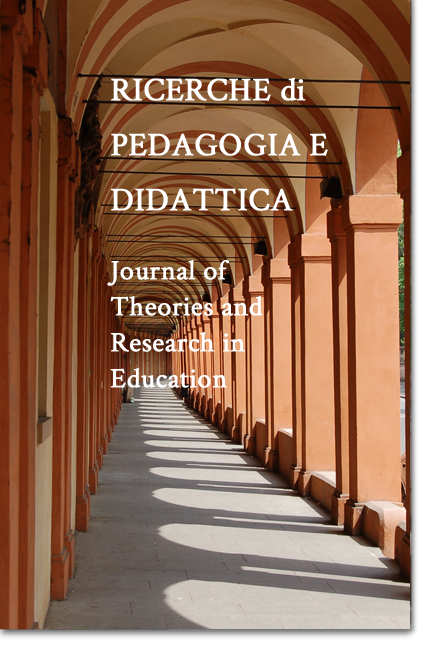 The Editorial Team of Ricerche di Pedagogia e Didattica - Journal of Theories and Research in Education is glad to announce that the journal has been accepted for inclusion in Scopus.